It's back to Benromach Distillery, Gordon & MacPhails plaything since 1993 nestled away in Forres, Morayshire. This voyage into deepest, darkest Speyside comes courtesy of whiskies wild west that is Twitter. I'm relatively new to Twitter, less than a years experience so far, but during my time I noticed quite a few other bloggers and enthusiasts getting sent smart little parcels of whisky joy for their perusal. Naturally being the #jealouspathetic individual I am I could feel no joy for these individuals as I wasn't involved! But seriously, I did genuinely wonder how do you get involved in this malarkey? It looks a bit of craic with the added bonus of getting to broaden your whisky horizons. It all became clear with a bit of schooling from my good mucker Ivor (@whiskeytalk2u) who has recently himself just started blogging here: whiskeytalk2u.com. 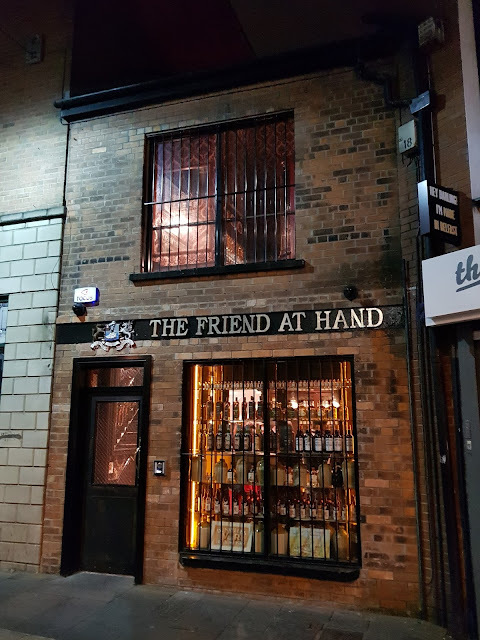 All I had to do was visit thewhiskywire.com, register my interest in forthcoming tastings and hope that I got picked from the melee of other ne'er-do-wells who were also hoping to join the 'dramfotainment'. I put my name in the ring for a Benromach tasting and was happily picked. 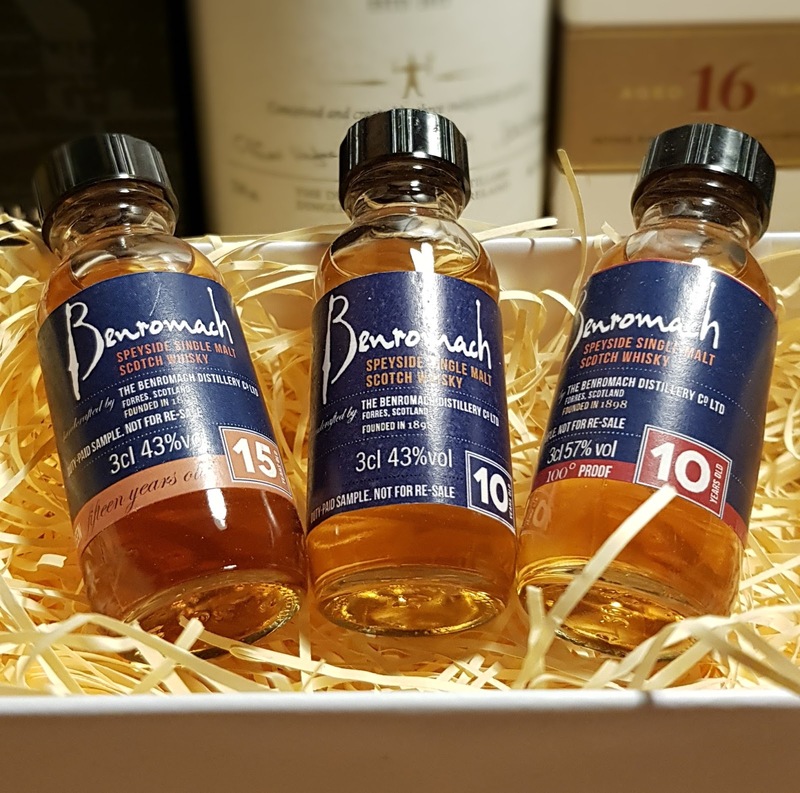 The drams on offer were the 10 year old I reviewed way back in June 2017 as well as the 10 year old 100 proof (bottled at 57% abv) and the 15 year old (bottled at 43% abv). The 10 year old is a 80% bourbon matured/20% sherry matured vatting with the bourbon barrels apparently coming from Heaven Hill and Jim Beam and with the sherry casks coming from Bodegas Williams & Humbert, Jerez. The 100 proof is the cask strength version of this while the 15 year old takes the 10 year old base and adds a further 5 years maturation in oloroso sherry casks. From Master of Malt these will cost you £34.96, £49.84 and £51.83 respectively. More alcohol impact here than the standard 10, not surprisingly. Dunnage warehouses. Stewed berries again but with a herbal/menthol quality and some furniture polish. Dry, dusty and woody too with some leather. Eventually sherry notes come to the fore with the expected peat rather closed. 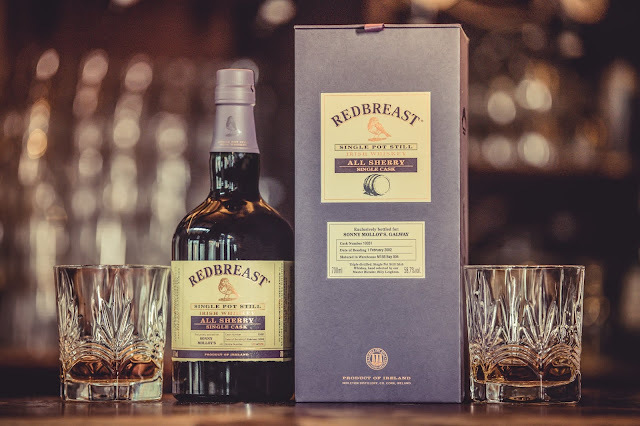 Water releases more sherry influence, brown sugar, vanilla, orange peel and peat reek. Slightly prickly with a nice oily body. Cracked black pepper over those stewed red & dark berries entwined with a gentle earthy smoke. Cough syrup, milk chocolate and ginger. Water sweetens the deal. Honey, a little more herbal notes with added smoke and a hint of salt. Long, leathery, ashen, nutty with a faint hint of sherry. Much more sherry influence here - toffee apples, chamomile & honey tea. Slightly waxy. Citrus oils, leather, rolling tobacco. There's a dirty, oily note here too. Stewed fruits of the 10 are present but muted and the extra maturation has dialled down the smokiness. Malt biscuits, stewed plums and blackberries. It's a bit sweet & sour - grapefruit, green apple skins after the initial surge of honey and stewed fruit. Then comes some bitter cocoa, a little cinnamon and cracked walnuts. I also get a little bit of chalky minerality. Dry and slightly nutty like a fino sherry. Rather short with a bit of salinity. The twitter tasting reaffirmed that the 'entry level' 10 year old is still very good value for money with plenty going on and much better than what you'll find at similar prices on pretty much every supermarket off licence you go to....honestly don't buy that Laphroaig Select or Glenfiddich 12...even if they are on offer. 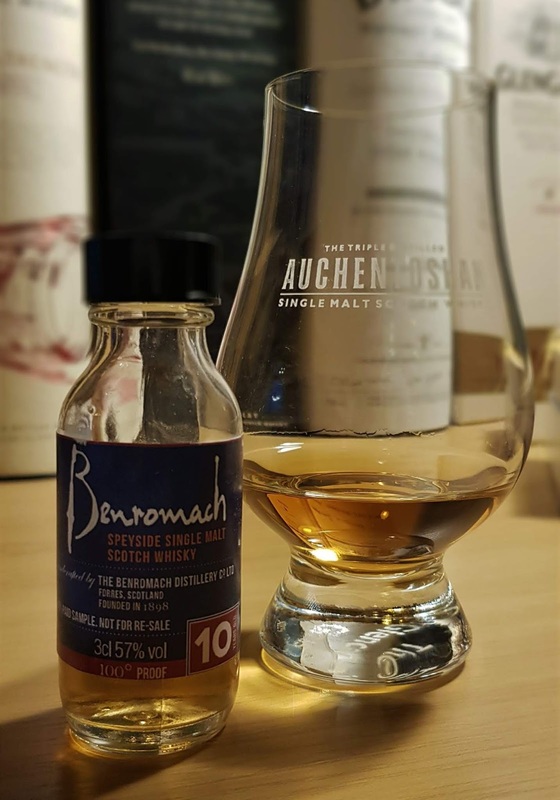 Try the Benromach 10 for a wee change. The 100 proof is the 10 on steroids. A really nice drop and for me the dram of the night. The extra entry fee is worth it as the extra abv allows you to play with water (or not) to suit your palate. The 15 for me was massively disappointing and shows again that age doth not maketh the dram. 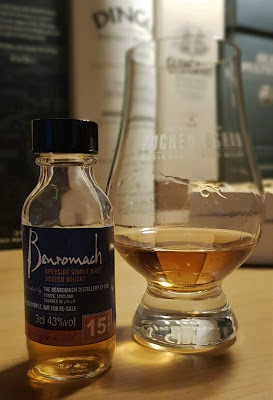 The 15 just feels rather disjointed and unbalanced and for me was a much lesser experience than the excellent 10 year old. I wouldn't be in a hurry to buy a bottle, that's for sure. Thanks to Steve Rush and The Whisky Wire for including me in the Twitter Tasting, hopefully the first of many. That Ten Year old is probably the one I turn to the most. Great value too.